Statewide, nearly one million cases are processed annually, all of which are initiated in the office of the Circuit Clerk. Hundreds of millions of dollars of court monies pass through the Clerk's office yearly. Court monies include filing fees, court costs, fines, restitution, child support, and civil judgments. The accounting and payment of these monies is solely the responsibility of the Circuit Clerk. Numerous local and state agencies and state general fund are recipients of the disbursement of these funds. Additionally, the Circuit CLerk serves the judiciary manager for many court-ordered investment accounts. —The duties of the Circuit Clerk are broad and are enumerated in the Code of Alabama and the Alabama Rules of court. Magistrate duties require that the Circuit Clerk be available to law enforcement for the issuance of warrants around the clock. Circuit Clerks must be available 24 hours a day. —Fiscal responsibilities include the management of all court monies requiring banking and fiscal knowledge. Accounts are routinely audited by the Examiners of Public Accounts. —Administrative responsibilities include personnel management, court planning, purchasing and inventory control. The Circuit Clerk issues writs and all summonses including jury summons and witness subpoenas. The Circuit Clerk is responsible for jury management. This officer of the court serves as custodian of all court records, and is responsible for providing access to those records by court personnel, the legal community and the public. While most records are public, confidentiality is maintained for those records protected by law. Area residents no longer will need to drive to Cullman to apply for a passport. Passport application can now be made at the Winston County Circuit Clerk's office. The process takes about twenty minutes. Persons applying should bring 2 - 2x2 inch color photos (driver's license or State ID) and a certified birth certificate. Children under 16 needing a passport must have one parent present, children under 14 must have both parents present. The cost is $145. for adults, $115. for children. You can expect your passport within 10 weeks. 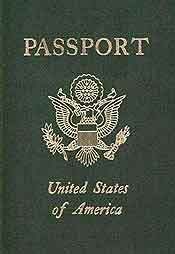 If you need an expedited passport the cost is $115. Renewal applications are also available here, the cost is $110.